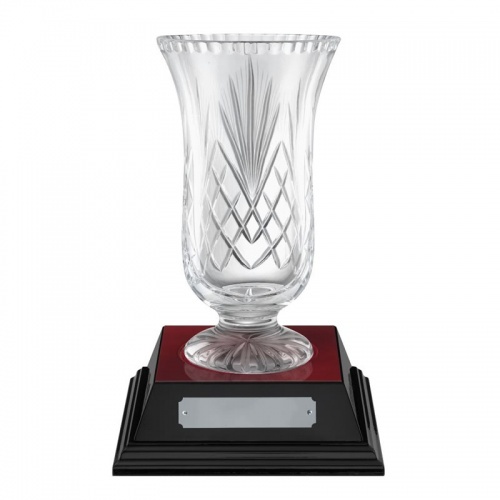 These elegant 'Fuji' awards vases are handcrafted in 24% lead crystal and are perfect to present as achievement or commemorative awards. They feature handcut decoration - including around the rim and under the base - with a large blank panel for engraving. Standing 8in (200mm) tall, they are offered with an optional recessed wood base with engraving plaque. 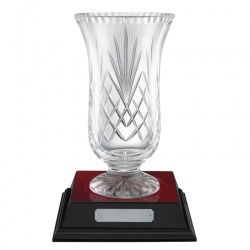 Each of these 8in crystal award vases is supplied in a blue storage box. Also available in two larger sizes - see Related Products, below. 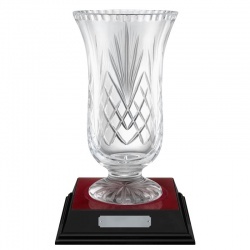 Elegant vase in 24% lead crystal with handcut decoration. Optional base.